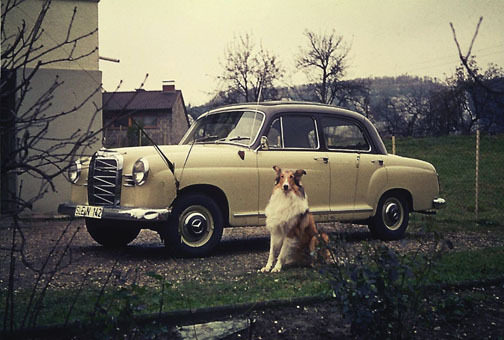 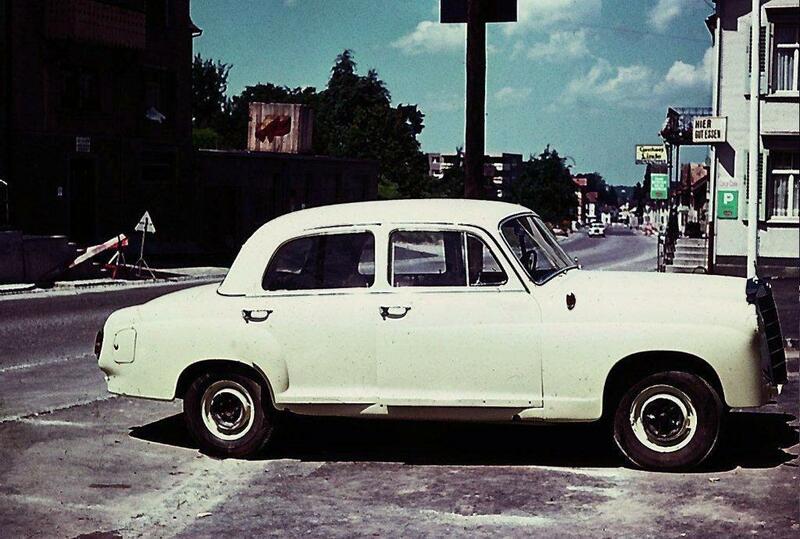 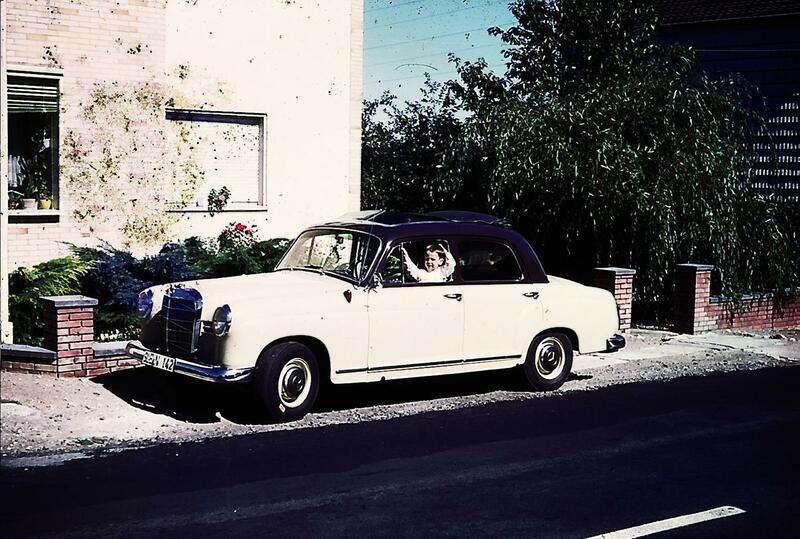 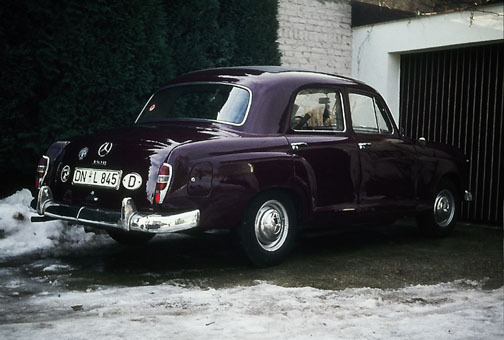 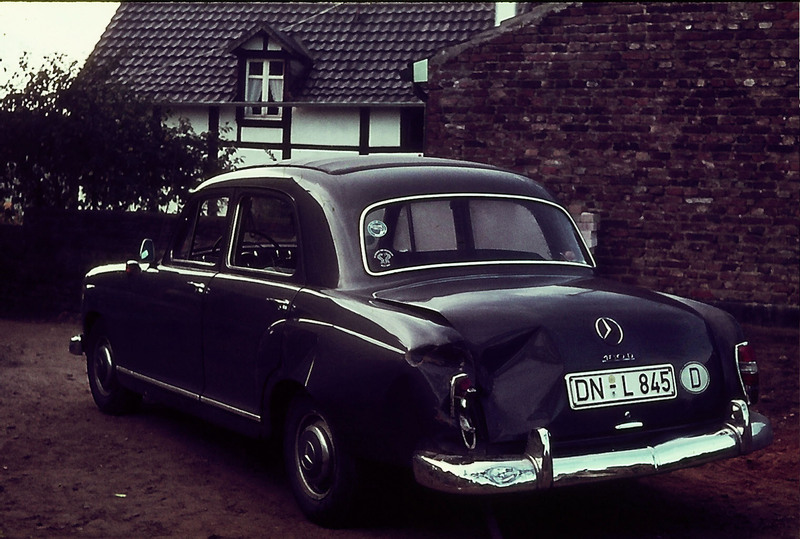 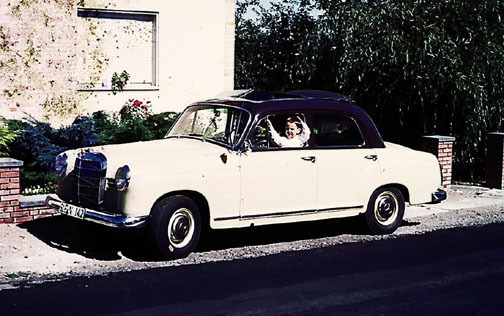 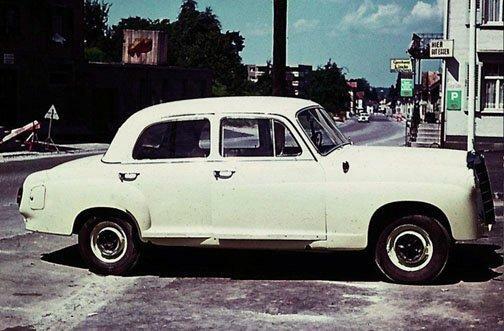 This Mercedes-Benz Type 180Db Ponton sedan (with Webasto sunroof) was owned by my parents from 1963 until my mother's death in 1975 — when I was 15 years old. 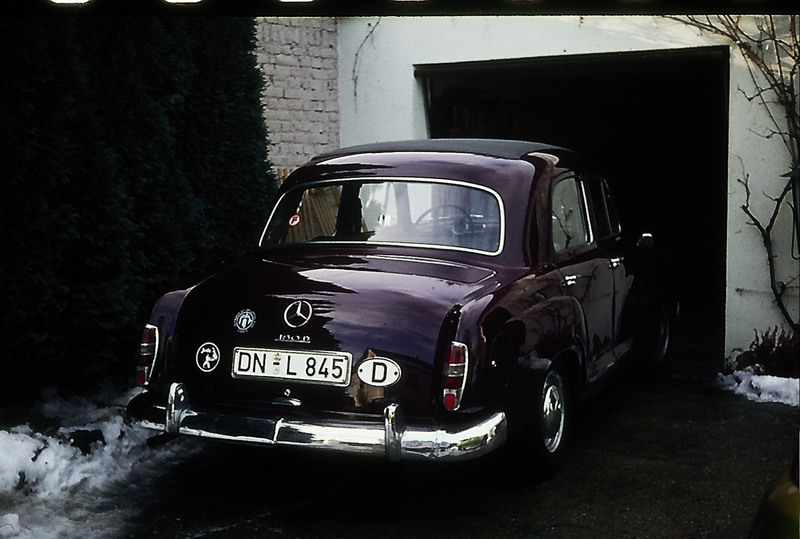 The car was painted several times by my father — a professional car painter at Spies Hecker of Cologne (now Hoesch) — before he sold it 1975 after my mother's death. 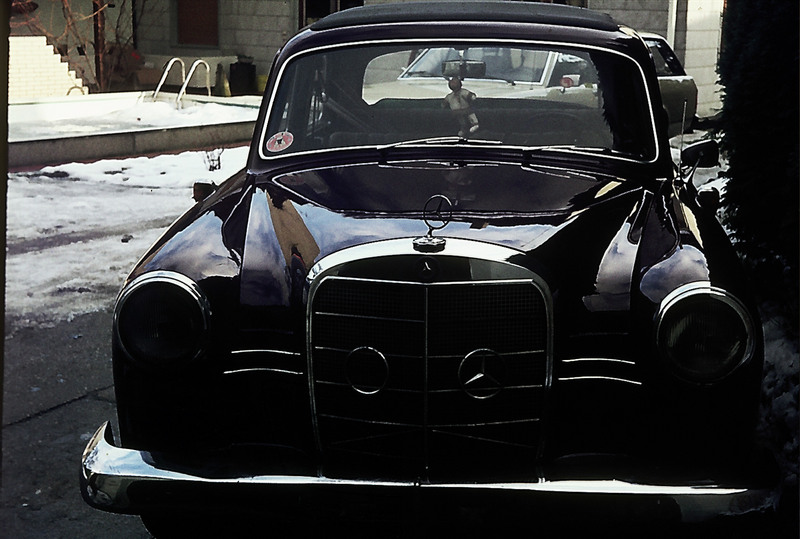 The images are in chronological order. 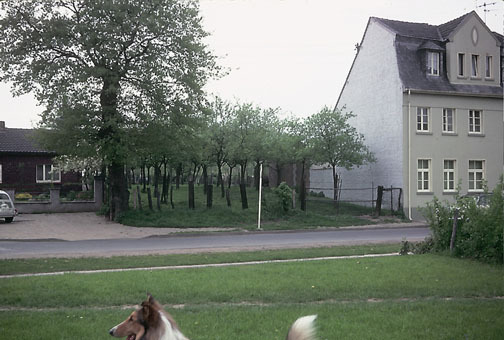 The first house in full view on the left was my birth house — Josef Schregel-Strasse 45. 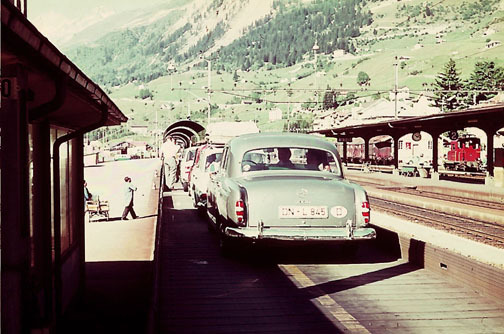 The photo dates from about 1960. 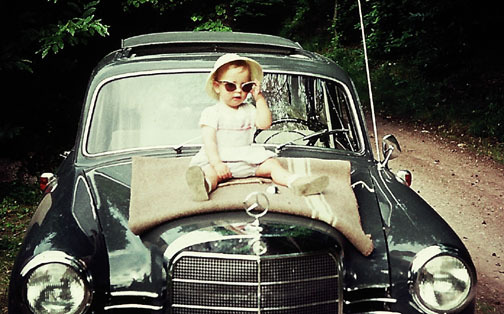 The VW was our family car. 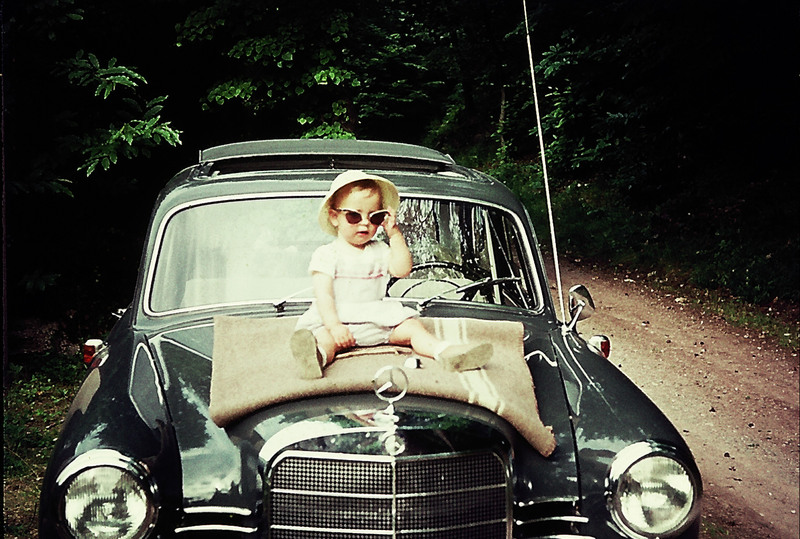 Prepared to handle the sunshine! 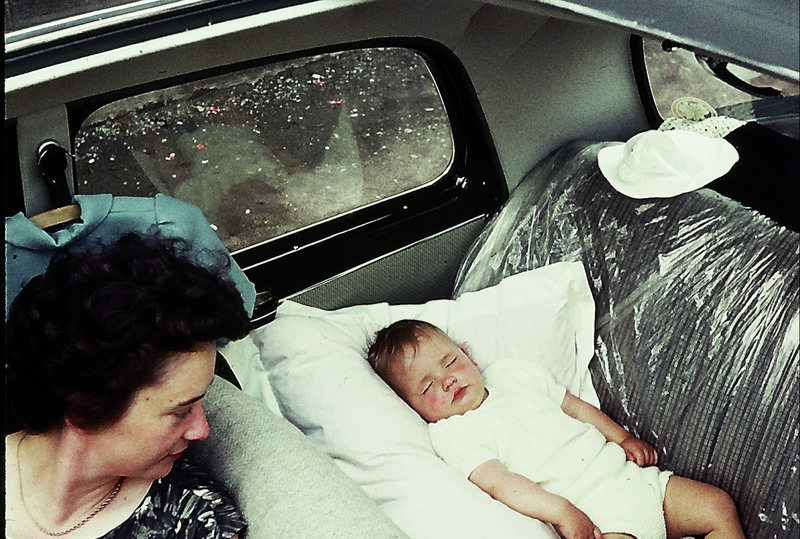 1963 / Enjoying the Webasto sunroof and driving with no hands! I remember an event while building our house in 1965 - 1966. 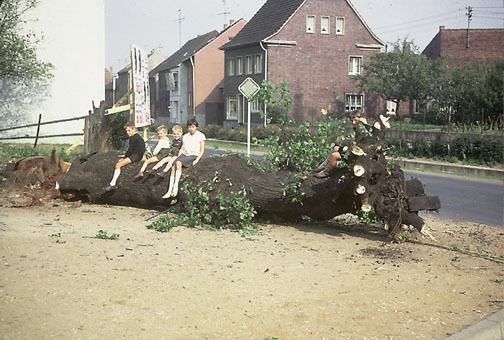 It was on farm land with trees (see photo), and the Ponton was used as a cheap "bulldog" for clearing trees from the building area — but he was hurt by one. 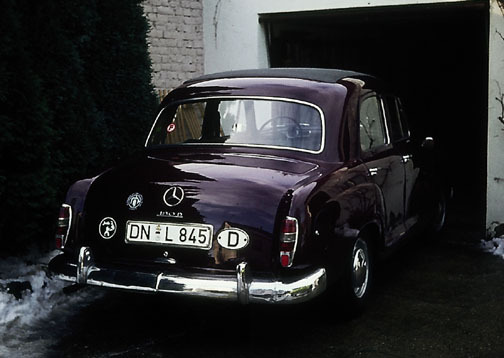 I said "hurt" and not "damaged", because the Mercedes-Benz was a family member! 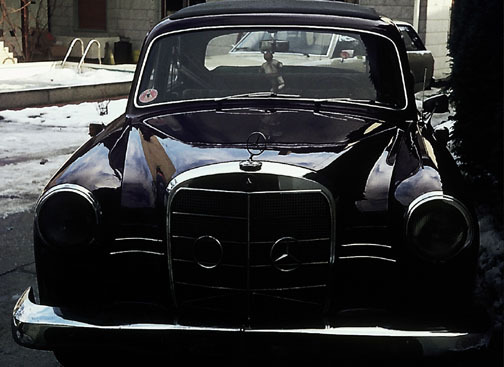 This is another Mercedes-Benz photo (maybe my father was amazed to see another, similar car? 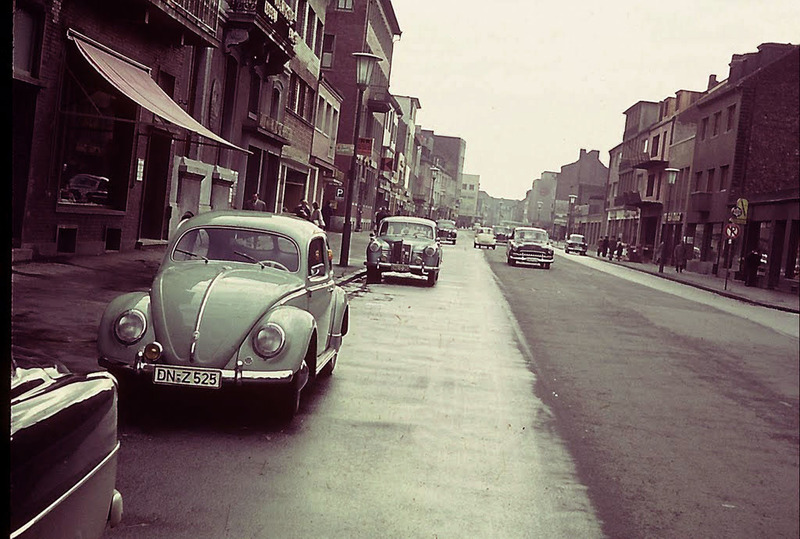 ), but I don't know where or when it was taken! We made several holidays in Switzerland and Italy during my childhood. Notice the white sign above the green P (Parking) sign: "Hier Gut Essen" - "Here Good Meals" — This looks very foreign to German visitors!